Sell Your House Fast In Richland County, SC. We Buy Houses For Cash. If you need to sell your house fast, you can get a cash offer in 24hrs! Get A Fair All-Cash Offer Today To Buy Your House No Matter The Condition Or Price Range! You Can Sell Your House Fast. We Buy Richland County Houses Directly From Homeowners. You don’t have to do any repairs before selling it to us because our crews do all repairs, remodeling, and cleaning. We can close in less than 30 days and you can walk away with cash. No obligation. No hassles. No fees. Read more about how we buy houses here. Are You Facing One Of These Real Estate Problems? If you own a property that is causing you stress, then we would like to help you out of that tough situation. We can give you a fair cash offer. You will be under no obligation to accept our offer. Since we can pay in cash, you will not have to wait for a bank to approve a loan and release funds. Paying cash allows you to close on the date of your choice. How to sell your house fast in Richland County, SC. You want to sell your house fast. And we want to buy. Just call us. Using a real estate sales agent to sell your house fast does not always work. Sometimes agents just list a house then sit back and hope someone calls. Other times agents just can’t find a buyer who wants a specific house. And no one really likes having to sign a contract with an agent that commits them to use only one agent for 6 or more months. And that could mean months of wishing and wondering if a buyer will come along. That’s just heart-wrenching. If you want, we will sit down with you and go over the pros and cons of selling with a real estate agent. How much will it cost? What are the typical closing costs? Those types of issues. Then we can go over the pros and cons of selling your house directly to us today. We will answer the same questions. How much will it cost? What are the typical closing costs? Then you can decide what’s the best option for you and your family. We do things differently from real estate agents. Our house buying process is designed to take the headaches out of the transaction. Because most sellers want to sell now without the long wait times and the extra costs. We are professional real estate buyers. We have removed the barriers so you can sell your house fast. We can take care of all the details. You won’t even have to pick up a spray bottle. You’ll get a fair written offer to buy your house. Then you show up to closing and get your money. We can close on the date you choose. We’re ethical and local cash home buyers who want to help you sell your house fast. 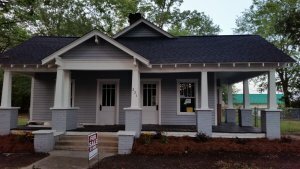 There are a lot of companies who buy homes quickly in Richland County so what makes us any different? The main thing is that unlike some other companies, we’re cash home buyers who operate our business ethically and refuse to lower our standards. We’re here to serve the community, and work every single day to make a difference in it. If you’re in a tricky situation with your home and need a way out, we want to talk with you. Has your life started to become more difficult? Have you run into some stressful life events? Behind in mortgage payments? Facing foreclosure? Inherited a house and want cash instead? Don’t have the time, energy, or money to fix your property? You can still sell your house fast. We can help by giving you a fair written offer to buy your Richland County property. Our crews can do all the cleaning and repairs and painting that it may need. You get cash at closing and will no longer be tied down with that property. If your property has become a burden, then you can sell it without the long wait time and expense of selling it the traditional way. Let us know about the property and we’ll give you a fair all-cash offer. We can take some of the burdens off your shoulders. Give us a call today at 803-592-2353. Can You Get Your House In Richland County Back After Foreclosure?